Welcome to Headwater’s Highlights of Syria! Just launched this week is Headwater’s new tour of Syria. This is a fascinating and incredibly welcoming country, where you will instantly be entranced by the colours and sounds of the souks and ancient sites. The warmth of the Syrian people is just one of scores of wonderful experiences you’ll enjoy in this spellbinding destination. Our tour here takes in all the highlights that have been left here by thousands of years of conquest and reconquest by Phonecians, Mongols and Ottomans, not to mention the Crusaders who left some of the most impressive and well preserved castles to explore and wonder at. 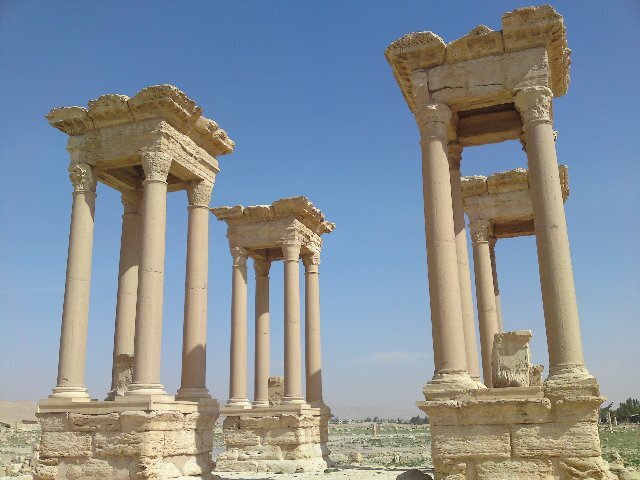 Damascus, Hama, Aleppo, Apamea and Palmyra are all included in the tour where you can explore with your guide and enjoy the easy walking we have included in the itinerary. For details on some of the lovely hotels we have selected and for an outline of the itinerary click this Syria link, or call us directly for information on our departures later in the year on 01606 720 033!